In California, the state with the nation's most permissive medical marijuana law, several doctors say that some children with attention deficit hyperacitivty disorder, or ADHD, are being treated with marijuana -- a fact that has sparked a heated debate. Reliable figures on the use of marijuana to treat ADHD are hard to come by, as reported by The New York Times. Though California says it has issued more than 36,000 medical marijuana cards since 2004, the state does not compile statistics on prescriptions for specific conditions, such as ADHD. And many doctors and patients are reluctant to talk about it. Still, experts say such prescriptions are becoming more common as the number of pot dispensaries and doctors prescribing marijuana continues to grow.And not everyone is happy about it. "Let me count the ways in which prescribing marijuana for teens with ADHD is a bad idea," said Stephen Hinshaw, professor of psychology at the University of California at Berkeley. Marijuana, Hinshaw said, is a "cognitive disorganizer" that produces roughly the same effect in users as those associated with ADHD. "The active ingredient in pot, THC, causes short-term memory problems and inattention," Hinshaw said, "the very same things you want a medicine for ADHD to help alleviate." Since marijuana has not been put through the FDA approval process, very few reliable studies have been conducted to show how it may affect ADHD, Hinshaw said. But if the idea of prescribing pot to minors seems counterintuitive, it might be worth considering that Ritalin and Aderall, two of the most commonly prescribed medications for ADHD, are essentially amphetamines. And Hinshaw said hundreds of studies show that in low dosages, amphetamines are an effective treatment for ADHD. "I'd have no hesitation of giving a youngster with ADHD a trial of oral marijuana," said Lester Grinspoon, emeritus professor of psychiatry at Harvard Medical School and the author of "Marihuana: The Forbidden Medicine." "For some kids, it appears to be more effective than traditional treatments. And marijuana certainly has fewer potential dangers than Ritalin." 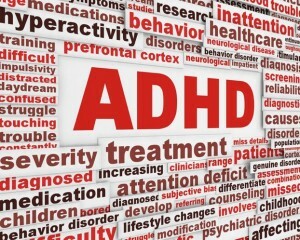 According to the National Institute of Mental Health, children with ADHD show a variety of hyperactive symptoms, including difficulty concentrating or following directions, being easily distracted and increased hyperactivity or fidgeting. Roughly 4.5 million American children have been diagnosed with ADHD, the Centers for Disease Control and Prevention said, but scientists are unsure what causes the condition. "My son was diagnosed with ADHD when he was 6," a Grass Valley, Calif., woman who wished to remain anonymous told Sphere. "He was hyperactive and had trouble in school, but we didn't want to put him on Ritalin. Too many side effects. When he got to high school, I suddenly noticed that he'd calmed and could concentrate. I couldn't figure it out. Then he told me that he'd started smoking pot." Now 28, her son still smokes pot, the woman says, and has very little problem with his ADHD. While Grinspoon concedes that the evidence of marijuana's effectiveness in treating conditions such as ADHD is mostly anecdotal, he believes that practitioners would be wise to start listening to the everyday experiences of their patients. "It has been hard to collect hard data because the federal government has, for so long, said, no, marijuana is not a (legal) drug." Hinshaw is intrigued by success stories of patients treating ADHD with marijuana, but he cautions against euphoria in the absence of data. "People with ADHD are terrible at self-reporting; that's one of the things that characterizes the condition. Still, this is worth looking into. Any hypothesis that adheres to the proper ethical limits is worth investigating." At Harborside Health Center in Oakland, for instance, a doctor's recommendation for marijuana is verified with the physician, then the medical board is consulted to make sure the doctor is in good standing. In the case of minors, only a parent or guardian is allowed to enter the dispensary. As for the future of treating ADHD in kids with marijuana, Grinspoon said he's optimistic. "In the long run, I think it will prove to be a wonder drug, and a less toxic one at that."